Author, Maceo Smedley, Promises to Make Children Smarter with His First Children's Book, "Why Are You So Smart"
Houston, TX, December 05, 2018 --(PR.com)-- Maceo Smedley, the father of Maceo Smedley III, a young actor who has starred in hit shows such as Underground and Netflix’s All About the Washingtons, reveals his psychological trick that makes his children successful. Not only has he admitted to using this trick with his own children but admits to using it on students in his class as a public school teacher for over ten years and no one ever discovered his secret. Now he has figured out how to use his trick and conceal it in a children’s book called, "Why Are You So Smart?" Parents should be advised that this is not just another children’s book. This book contains a warning about this psychological technique called Afformations® created by bestselling Author Noah St. John which are a special form of affirmations, that supposedly helps develop a successful mindset. Parents need to know that they will utilize this trick with their children simply by reading a book to them. Smedley believes that Afformations® are the key to allowing children to increase their quality of thinking, and by asking life-affirming questions this book leads children on a journey to rethink the way they view themselves and their worlds around them. “This book is an excellent gift for boys and girls, and for new parents, and is one of the best books for children ages 3-7 according to several school teachers,” says Smedley. Parents you can be the judge for free. Maceo Smedley’s "Why Are You So Smart?" will be free to download for 5 days (12/03/18 – 12/07/18) at www.Amazon.com. For more questions or to schedule an interview about this press release, please contact Maceo Smedley at (832) 303-2602 or by going to www.mypositivekid.com where you can learn more. 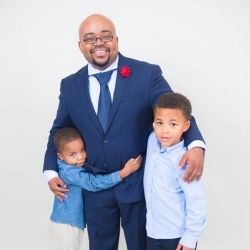 Maceo Smedley is the pastor of The Promise Church, a former educator with 10+ years of experience, a daycare owner with his wife Shante Smedley, and a proud family man. He is also the father of Maceo Smedley III who stars in the Netflix series All About The Washingtons as Daevon Washington along with many other acting credits. His youngest son David is among the top in his class and has already been identified as a future leader.